Firstly, I’d just like to say thank you to Elder Martinez over at Elderfanfilms Blogspot for gaining me access to an online screener of the Horror/Thriller “Blood Hunters”, Written by Corey Brown, Directed by Tricia Lee. Blood Hunters follows single mother, Ellie Barnes (Lara Gilchrist of Battlestar Galactica) who wakes up in a medical facility, pregnant, with no memory of how she got there. With the entire staff killed during testing gone wrong, Ellie finds herself reliant on Henry (Benjamin Arthur), another patient in the facility and Marion (played by Torri Higginson of Stargate: Atlantis), a security and data expert. The film also stars Julian Richings (Wrong Turn), Mark Taylor (TV’s Flashpoint), Peter Blankenstein and Samuel Faraci. 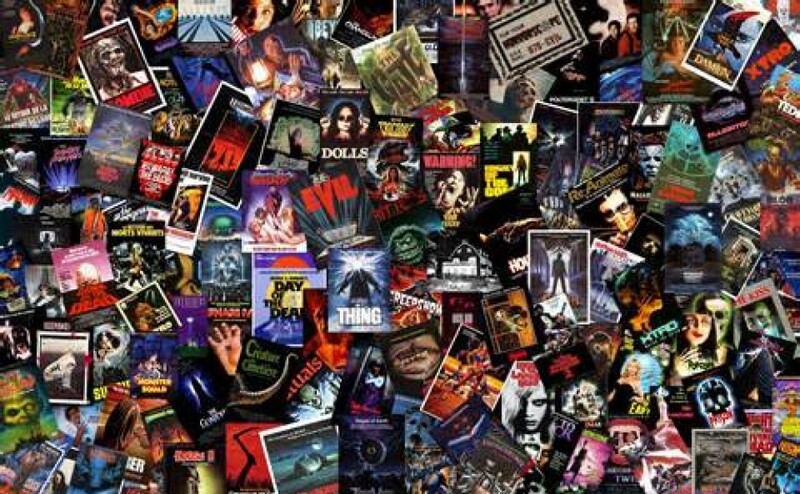 Elder is a Colombian born, film aficionado who promotes a lot of independent horror content via his own blogging website. His site is centered primarily around news on the latest releases and details on distribution and such. I’ve been fortunate enough to do a handful of reviews for the site, Lee’s film being the latest. I remember seeing the initial fund-raising campaign for Blood Hunters way back when, but with funds all dried up at the time, I couldn’t back the film. I did, however, track its progress for a while and not long ago an email with the press kit attached was sent to me. The poster art was the first thing that caught my eye, the creatures having an interesting mix of vampire and alien about them, as well as human characteristics. Ryan Knight’s cinematography is the driving factor behind the high production value aesthetics of what is ultimately a low-budget feature. Knight’s extensive work in the short film medium no doubt helped equip him with the knowledge required for undertaking something bigger. The framing looks great and a series of early focus pulls aided in conveying Ellie’s unfamiliarity with her surroundings and the situation at hand. One of my favourite shots is the aerial view over the top of the operating table. Aaron Gilhuis has scored all three of Lee’s feature films and in Blood Hunters he introduces a moody, bass filled score really early on that helps build the suspense. Gentle piano themes slowly work their way into some of the flashback sequences and more dramatic moments. The audio is clean, and given the films setting, it’s effectively lit. In particular the flickering technique used to represent the dwindling power supply. It was great to see some familiar faces in Blood Hunters, I had no idea who had been cast (if anyone) back when I first heard about the film. Overall, the performances are pretty solid. Gilchrist has been acting for over a decade now and she holds things together nicely. Ellie is certainly the most fleshed out character in the film and you should be able to relate to her struggles (at least on some level). Higginson made a name for herself as Dr Elizabeth Weir, a part of the Atlantis crew on TV’s Stargate. There may have been a propensity to cast Torri as a Doctor in Blood Hunters and I’m pleased that they went a different route. Her character of Marion occupied the grey area while serving as somewhat of a mother figure to the rest of the group. I thought Benjamin Arthur, who I must say looks a hell of a lot like Jason Sudeikis, had lapses with staying in the moment and did take a while to even out his performance and I think that was the reason I didn’t care about his character as much. To those who watch a lot of horror, Julian Richings has long been seen as a genre talent. Unfortunately he just doesn’t get the same exposure and accolades as heavyweights like Robert England, Kane Hodder, and the like, tend to get. I, for one, would love to see Julian as a Freddy Kruger type somewhere down the line. The remainder of the supporting cast are serviceable too. There wasn’t a great deal of action in Blood Hunters but practical effects are a plus and the gore toward the end looks good. Writer, Corey Brown is another member of the crew who’ve worked with Lee on all of her films thus far. It’s nice to see core groups working together on multiple projects, I think it’s potentially a great formula for making consistent films. That said, not all of Brown’s dialogue is great. Some of the interactions aren’t always smooth and the few lines tossed in for comedic relief, clash, tonally speaking. I was hoping that Brown would write Ellie having the mandatory “freak out” moment in correlation with awakening to find that sizeable baby bump. Being pregnant is one thing, but then there’s finding out the specifics of the conception weren’t exactly conventional, to which Ellie still doesn’t react in a way you’d expect from a woman in that type of scenario. Some of those specifics weren’t as well refined as they could’ve been. Like most films set in a facility, you’re probably going to see the direction it’s all heading shortly into the proceedings. Experiments are bound to have taken place and all that’s left are the ramifications, that and of course plenty of questions surrounding the details of the testing. Maybe it’s because I knew what I was in for (more or less), that I found considerable chunks of the 90 minute running time lagged. Downtime definitely has its place, but it’s usually best after you’ve been hit with intense imagery or suspense, something Blood Hunters severely lacks. I suppose you could chalk that up to how the creatures look, at least in part. They’re most threatening when lurking about in the shadows, but the uncertainty in who or what they are remains, and is highlighted when they step out into the light (they don’t because they can’t but figuratively speaking). A lot of the patchy digital effects work doesn’t help the cause. 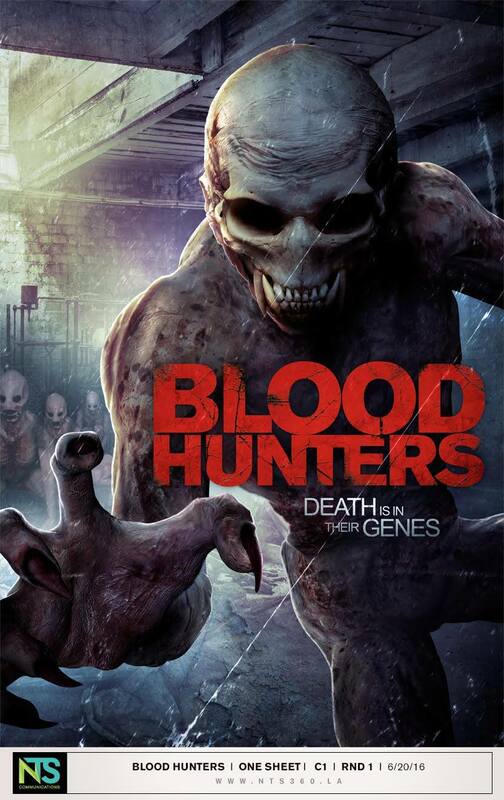 Blood Hunters feels a little bit like 2005’s “The Descent” meets the far less remarkable “The Hospital”. I was really impressed with the cinematography, the lighting, and the sound design which includes an atmospheric score. There’s adequate exposition throughout the film although it comes on in fits and starts, and the performances are generally pretty good. This one does contain some practical effects and the blood and gore is serviceable taking into account the style of film. Some of the dialogue’s a miss and our key characters responsive manner doesn’t always pass for plausible. Brown needed to include that reaction based conduct in order for Ellie to be fully believed. The downside here is that almost everything in Blood Hunters is predictable, and when you don’t have more prominent action, and or a greater memorable creature/hybrid/person (whatever you choose to call them) there’s always going to be lulls throughout the run time. If you enjoy films set in facilities then I think you’ll have fun with Blood Hunters. Though not the best of its kind, it’s a polished product that will surely entertain fans. I’ve had Tricia Lee’s, “Silent Retreat” for a while now and I’m looking forward to checking it out, as well as any future films of hers. Check out the trailer and if you want to purchase the film it’s now available from the link below!